As a career woman and a leisurely traveler, finding the best beach destination is easier said than done. However, finding the best beach fashions for your vacation can be easy! With the friendly help at Scout & Molly’s Boutique, we’ll let you in on this year latest summer fashion trends for all the glamorous beach outfits your heart desires. Get your notepad and pen, and nose dive into the chicest and most sophisticated summer outfits for the beach. You can’t spare luxury when it comes to this season’s summer beach fashions. When you’re prepared to jet set off somewhere sunny, it’s always essential that you look your best. We have the latest and greatest selections of high-end designer clothing, with a style to suit every taste. If you’re planning on hitting the town during your beach vacation, having the right summer dresses for day and night is essential. The versatility of enjoying a dress while strolling the shores and then heading out to dinner without ever having to change outfits will ease any travel stress tremendously. The right dress will help you enjoy your beach vacation rather than fret over what you forgot to bring in your suitcase. The Rey Dress by Tart Collections is an ideal option for this kind of outing. 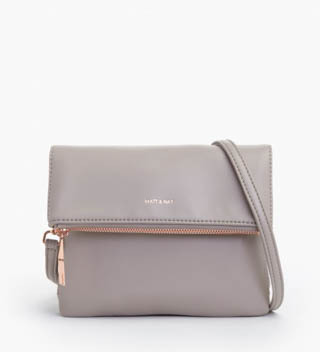 It incorporates refinement, chic style, and sophistication all with a versatile fluidity. Hop on in and enjoy the ride as you set your eyes on a majestic beachside sunset. Maybe you’re looking for a style more suited to the French Riviera. In that case, Oscar-winning actress Cate Blanchett serves as the perfect example for all things effortlessly elegant for that trip. Outfits for this kind of beach trip are all about light hues paired with monochromatic tones to make an eye-catching contrast. Cate looked stunning at the 71st Cannes Film Festival in a simple, pastel-yellow blazer. She added a monochromatic bag, like our Hiley Crossbody from Matt & Nat, while making a statement with her bold and stylish sunglasses, similar to our Aurora Sunglasses by Freyrs, to create that perfect outfit for the beach, and even worthy of the red carpet. Day dresses with lively bold colors are classic looks that contrast the pastel hues and also make for summer fashion delights. These are a terrific option to have for a lunch outing on the beach. Make a statement with these fashion tips while always maintaining that cool chic beach vibe. Remember when you cringed at the very sight of crochet? They actually make for cute summer outfits for the beach! Amazingly, that point was made by Dior’s Resort 2018 Collection. A long, multicolored crochet dress strutted down a makeshift Western-themed runway and turned heads, making everyone want their grandmas to crochet-knit anything. We love to bring you the latest in fashion, and this year is no different. You can take crochet anywhere this summer. 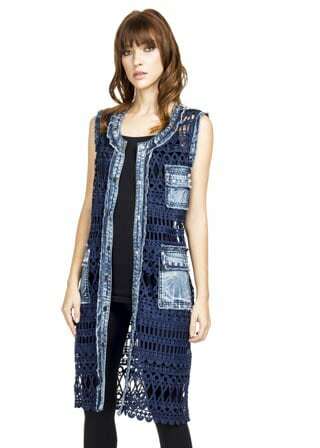 It’s stylish and comfortable to wear like our unique Callie Crochet Vest by Adore. These are the fashion staples you’ll want to add to your wardrobe, and you can find them all at Scout & Molly’s Boutique. Visit our Brookfield location today to talk to one of our in-house stylists to find the right look for you!